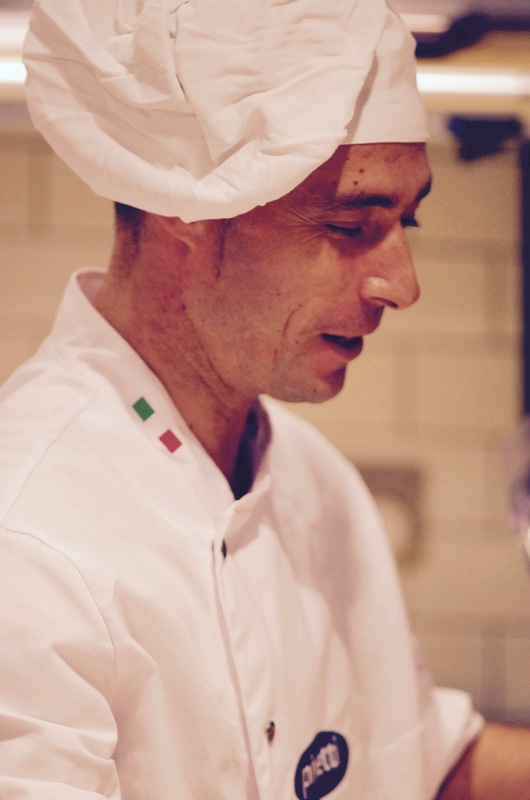 With an oven from Napoli as the centrepiece of Franco Manca, a friendly welcome and noisy guests, it’s safe to say an authentic Italian pizza place has arrived in Guildford. I had a go at making my own Calzone in a masterclass with Giuseppe. 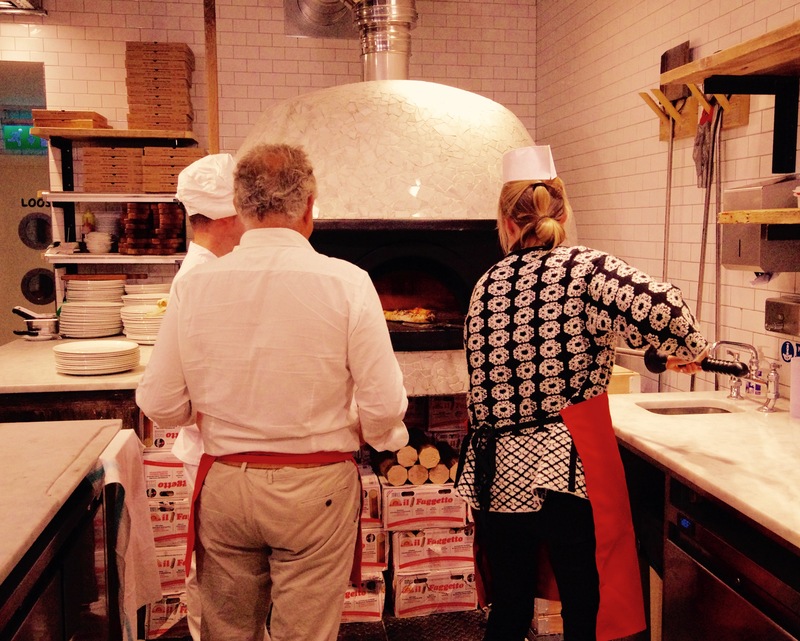 It was a thrill to see the restaurant from the other side of the counter and to get my hands on a molten-hot, wood fired pizza oven. The dough ball had been prepared so all it needed was pressing out into a base without letting the air out. It turned out I wasn’t too great at slapping the sourdough from my left to right hand to flatten the dough out into a beautifully thin circular shaped base(!) You realise quickly just how much skill these incredible pizza chefs really have. However I did nail the whole lifting and turning the pizza to exactly the same place in the oven to prevent it from burning on one side, which I’m told is actually really hard. The oven produces a heat of about 500C (930F). The blast cooking process locks in the flour’s natural aroma and moisture giving a soft and easily digestible crust. 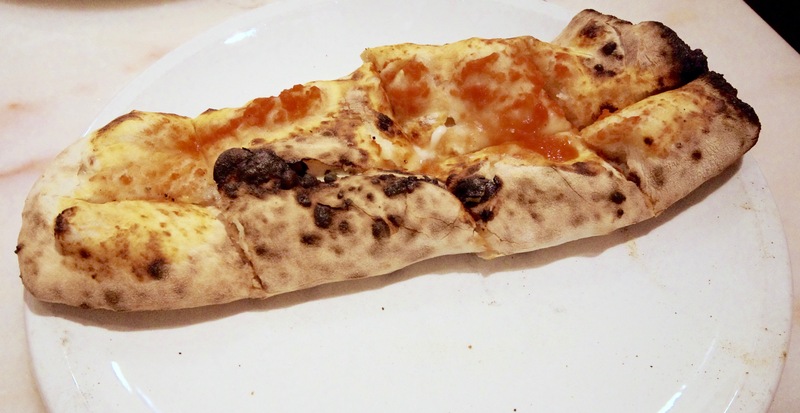 As a result the cornicione (crust) of the pizza is unbelievable and shouldn’t be thrown away. The best bit was to eat my slightly misshapen Calzone straight from the oven. 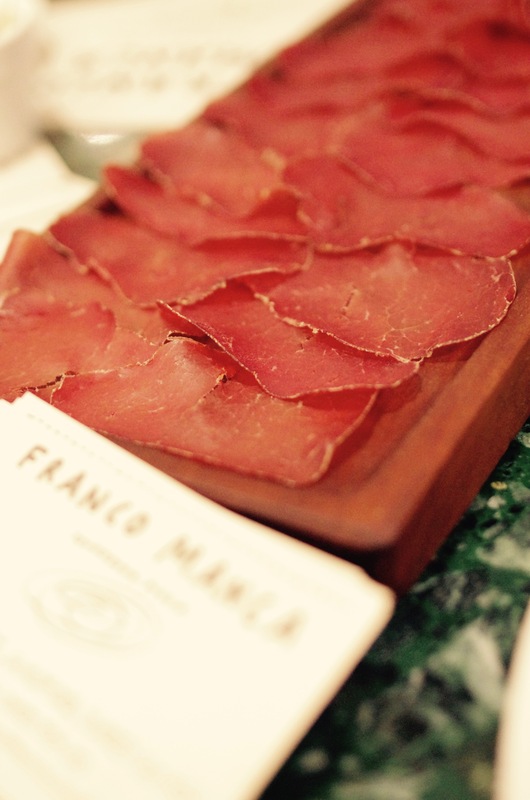 Crisp edges with a light base and buttery mozzarella and perfectly salted ham. I’ve never tasted a Calzone pizza as good as this one. 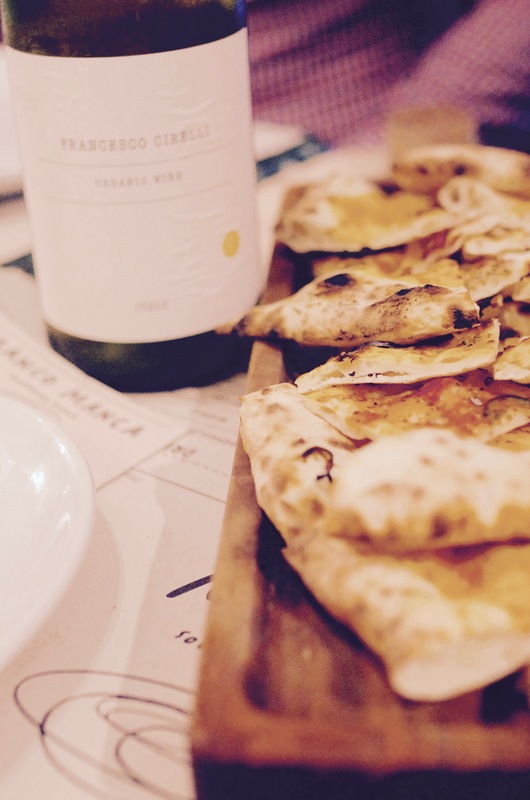 Choosing something to eat at Franco Manca is easy because the menu is short, comprising of a handful of pizzas, a small selection of salads, wine and beer. From traditional tomato, garlic and oregano pizza, to Gloucester ham and wild mushroom pizza, there is also a meat and vegetable special every day. The quality of the other ingredients is also impressive. Mozzarella from British Buffalo herds in Somerset, organic tomatoes from the south of Italy, organic Kalamata Olives from Greece and ham from rare breed Gloucester Old-Spot pigs are just a few examples. 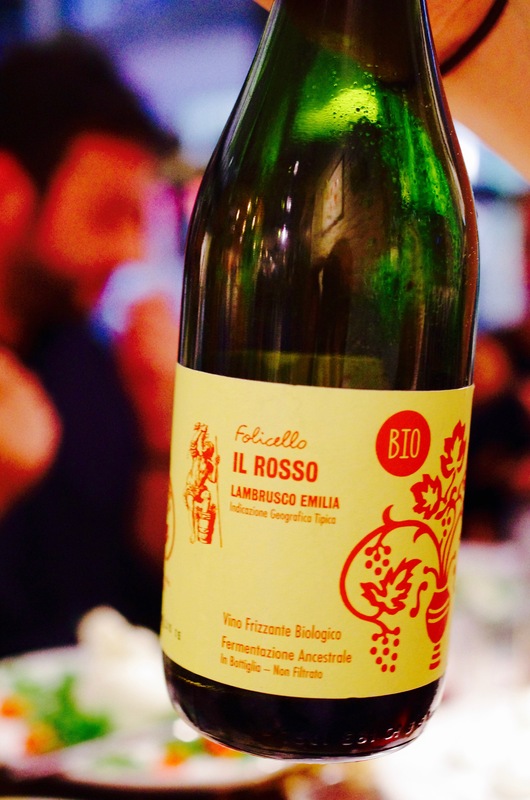 Another surprise is the drinks list, for a high street pizza place it’s very good – offering a selection of organic Italian wines which they import directly themselves. There are craft beers too if you don’t feel like wine. I was really impressed with the quality of the wine given the prices and also the knowledge of the staff. 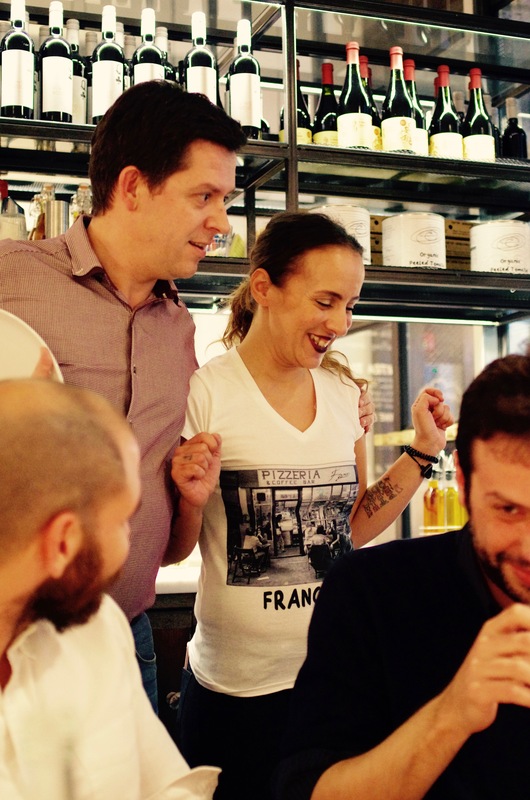 With an authentic Italian welcome, outstanding food and drink Franco Manca have rightly become very popular. If you want to understand how truly wondrous cooking in a wood-burning oven can be then get down to Friary street in Guildford and treat yourself to a pizza at Franco Manca. What a fun and yummy experience for you! Thanks Jackie. I hope you are well. Whats the weather like where you are? Beautiful Autumn sunshine here today in the UK. Lovely leaves everywhere here but the bite of the temperature came as a bit of a shock yesterday. I guess my red nose will get used to it. Reading your post made me really hungry for Italian food. What a great experience you had. Thanks for sharing.